When you arrive at your cool work acquaintance’s house party a quarter before midnight, that’s fashionably late. 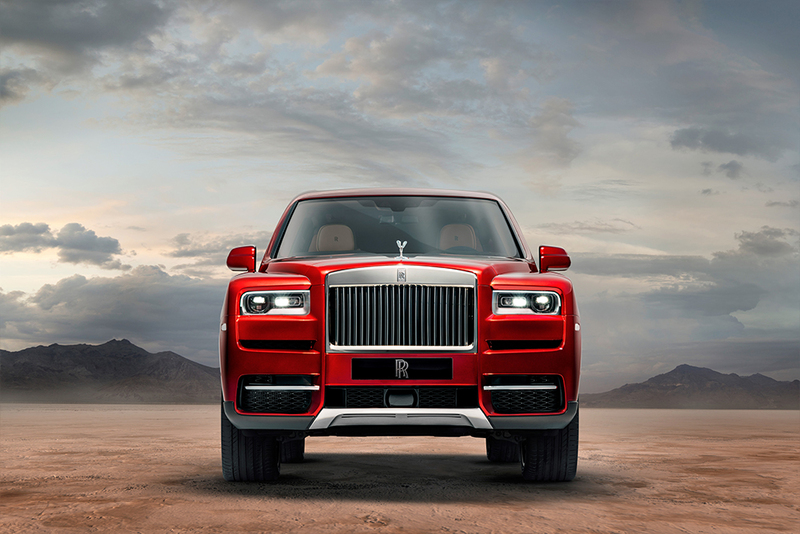 But when Rolls-Royce finally decides to enter the luxury SUV game with this — its new, supremely opulent, next-level take on a six-figure big rig? That’s masterfully late. 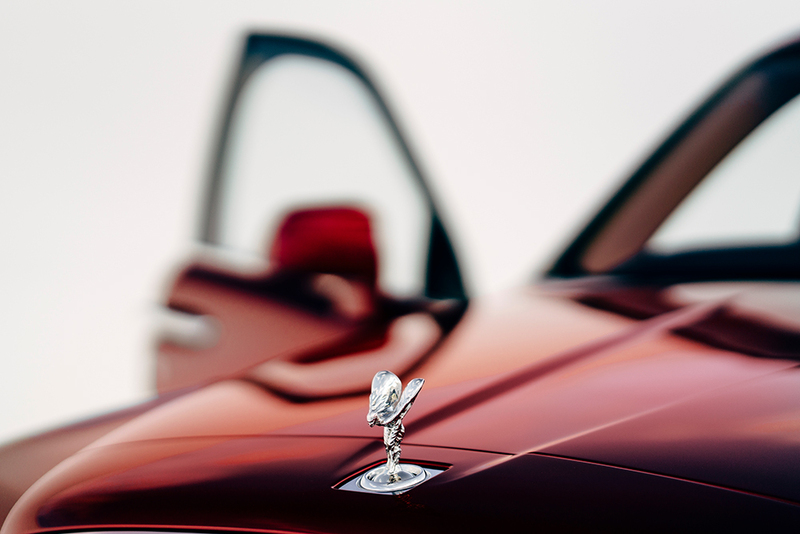 Enter the Cullinan — Rolls-Royce’s first-ever SUV. It’s named after the largest diamond discovered to date, and for good reason. This thing is yuuuge. It stands six feet of the ground and clocks in at a whopping 5,800 pounds, which is 400 more than Bentley’s Bentayga and Range Rover, its closest competitors. It’s also longer and wider than those vehicles, with angular vertical and horizontal lines that make it looks straight-up ferocious. 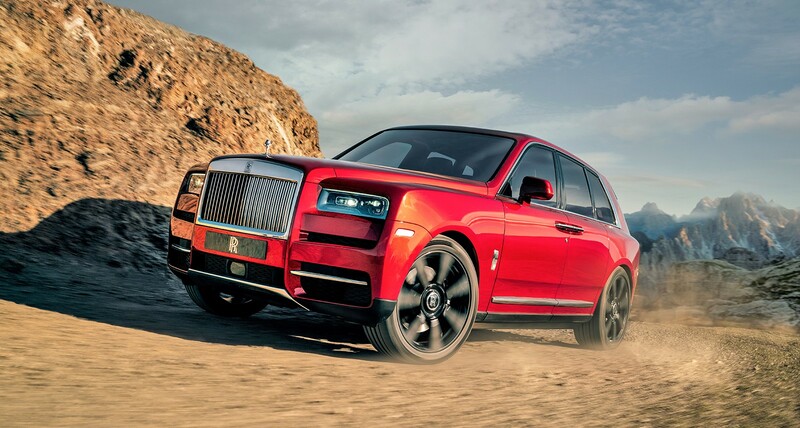 Rolls says the Cullinan is meant to attract the “younger, very successful high-net-worth individuals who are heavily engaged in the experience economy.” (Heck, in early press materials they referred to it only as a “high-sided vehicle” before finally relenting in their latest release and using the term “SUV.”) In a first for a Rolls, there’s all-wheel drive and an all-wheel-steering system — so all that weight can move swiftly on Rodeo Drive and the dunes of Dakar with equal poise. Its top speed is 250 km/h. It’s certainly got enough power. The all-terrain, high-bodied vehicle comes equipped with a 6.75 litre twin-turbo V12 engine that puts out 563 horsepower and 627 pound-feet of torque. 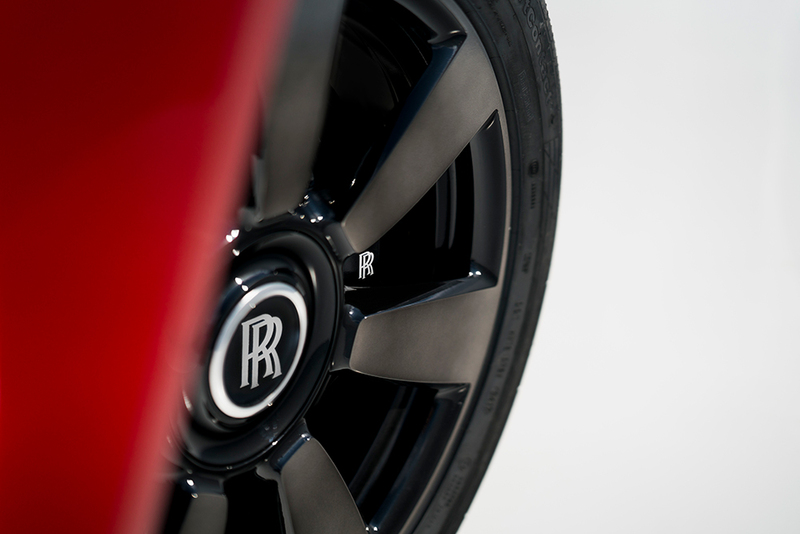 It’s the second Rolls-Royce to be built using the the company’s new all-aluminum architecture, which gave us the Phantom VIII. Its traditional Parthenon grille was made from hand-polished stainless steel, and sits high and regal on the car. 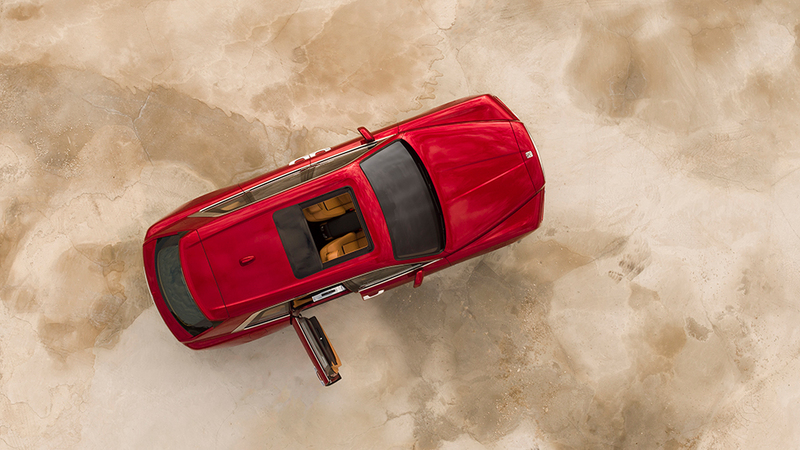 The iconic Spirit of Ecstasy mascot also also enjoys a higher vantage point than usual. 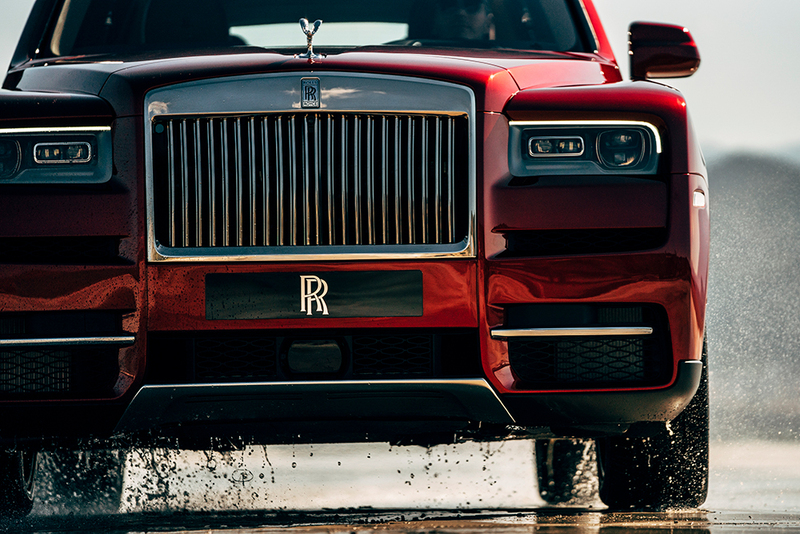 The Cullinan can wade in water up to 21 inches high. The interior is where things get especially Rolls-y. The Cullinan fits five people, though this thing’s so huge all of them could be pro wrestlers. The back seat comes in two configurations: a lounge seat layout that’s the size of most sofas, and an individual seat option that two offers two separate chairs, divided by a huge rear centre console featuring a drinks cabinet replete with Rolls whiskey glasses, champagne flutes, and a refrigerator. It’s also got a rear glass partition wall to separate luggage from passengers. With the rear seats folded, the load capacity raises to 1930 litres — essentially more space than a standard New York bachelor apartment. Perhaps the raddest feature on the Collinan is right at the very back. 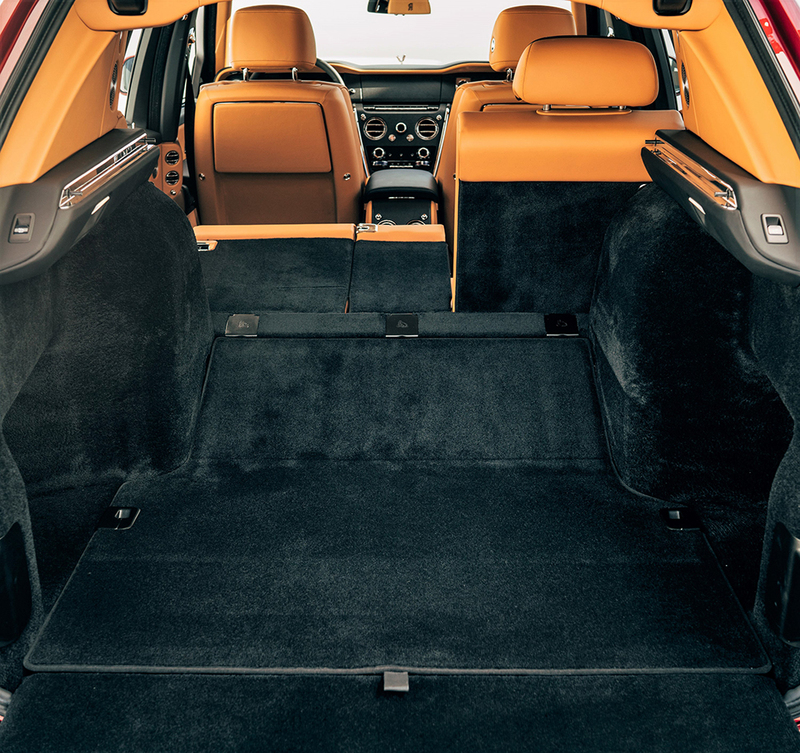 You’ve got the option to pull out a retractable table and leather chairs, which instantly transform the vehicle’s tailgate into an outdoor dining lounge, or what Rolls calls “the best seat in the house.” If it sounds crazy, that’s because it is. Crazy amazing. The Cullinan can be yours for $370,000. Start saving those shekels.